Miss Wren Heyden has never been seen outside her home without her veil. After the death of her beloved Aunt and Uncle who rescued her at 10 years old from a cruel mother who kept her locked in a room so no one would see her deformity. Now she is all alone after their deaths. She has no friends, just her faithful maid. The inheritance that her Uncle left her is a glass factory that continues to thrive under her leadership. She is lonely and wants a family, so she comes up with an idea to interview men in the area who are financially strapped and who would agree to her terms for marriage. Which will be that he would get access to her fortune and she would have his respect and children. The one condition that she will never show her face outside of their house. The first two candidates are unacceptable and she is beginning to think that she would be better off alone. The Earl of Riverdale is a Gentleman who has unexpectedly inherited an Earldom and with it an estate that is a crumbling money pit. Alex had just finished bringing his home back from the brink due to his Father's mismanagement and now he has to turn his attention to his new inheritance that he did not even want. If you read the first book in The Wescott Series you have met Alex, if not, this book is an amazing novel that will stand on its own. 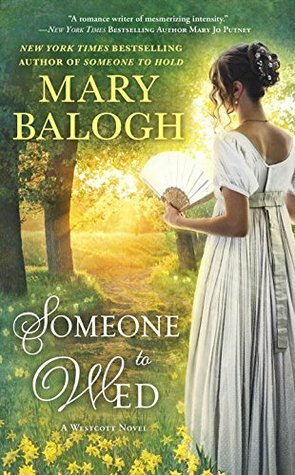 When Alex receives an invitation for tea from a neighbor, he accepts thinking that there will be other people from the area that he would like to get to know, since he will be spending all his time at his new estate. When he arrives he is shown into a parlor occupied by a lone female hidden in the shadows of the room. Wren comes out of the shadows for the first time letting someone see her face after Alex insists if he is going to entertain her offer. What he sees is a tall lady who holds herself rigid and a purple birthmark that covers one whole side of her face. If you have read my reviews you know that I only give an outline into the plot, no spoilers. 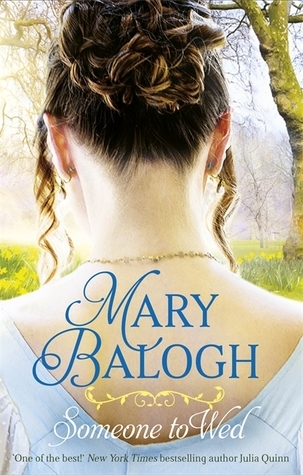 Wih that said, my favorite Mary Balogh book has always been "Slightly Dangerous", I have an autographed copy. It is now my second favorite. Wren is the bravest woman Historical Romance lady that I have come across in a long time. What she has to overcome will make you cry and cheer. The way Mary lets us witness the struggle she goes through is a totally humbling experience. Alex is honorable and he sees the pain and suffering that Wren has gone through her whole life. The respect he gives her helps her reclaim her life and finally come out of the shadows. Do not miss this one. I always feel that I can do anything I set my mind too after reading one of Mary's books.